Shah Rukh's "Raees" and Hrithik Roshan starrer "Kaabil" hit the cinema houses on January 25. While "Raees" garnered Rs 93.24 crore in the first five days, "Kaabil" has earned Rs 67.46 crore so far. The Shah Rukh-starrer film was apparently released in about 3,200 screens while "Kaabil" managed 2,200-2,300 screens. Actor Nawazuddin Siddiqui says he was impressed with superstar Shah Rukh Khan's decision to do a negative role in the recently released crime thriller "Raees". 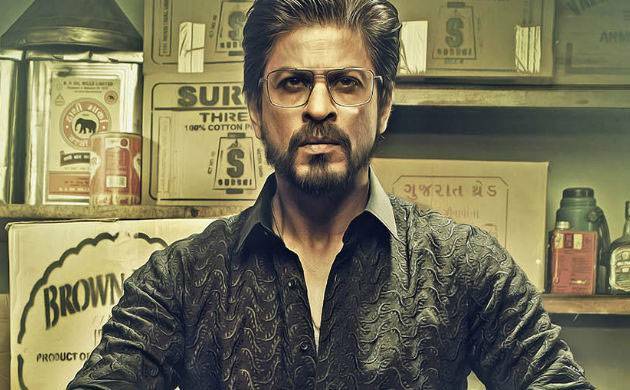 In Rahul Dholakia's directorial venture "Raees", Shah Rukh, who is known mostly for his romantic characters, plays a Gujarati bootlegger while Nawazuddin is in the role of a police officer. "What I admire in Shah Rukh the most is that he being a superstar has come out of his comfort zone and has done a dark film like this, which is a rare thing. People (actors) often play safe games (referring to roles and films). Shah Rukh has the daring to do a negative role, it's a big thing. I admire this quality in him," Nawazuddin told PTI. This is the first time that the "Gangs of Wasseypur" actor and 'King Khan' have come together for a film. "He is very humble, sensitive and a very understanding person. His thoughts inspire me. It's a big compliment for me when he praises my work. He is an experienced actor, and an actor of his stature praising me is a big compliment for me," he said. In a face-off that was anticipated for months, Shah Rukh's "Raees" and Hrithik Roshan starrer "Kaabil" hit the cinema houses on January 25. While "Raees" garnered Rs 93.24 crore in the first five days, "Kaabil" has earned Rs 67.46 crore so far. The Shah Rukh-starrer film was apparently released in about 3,200 screens while "Kaabil" managed 2,200-2,300 screens. Asked if he was confident about the film's fate with the huge fan following that Shah Rukh enjoys, Nawazuddin says, "I was confident about the film. Shah Rukh sahab does have a huge fan following not only in India but globally as well. "But overall the film has also got good response because of the story, dialogues. I did not expect people to applaud and whistle. The audience's appreciation is what matters the most to me. It's a mass entertainer film, but with a great story," he said. In "Raees", Shah Rukh and Nawazuddin share a love-hate relationship and according to the "Badlapur" actor, that was the amazing part of their on-screen equation. "I think whatever scenes we have together are enough and we also have to keep in mind the length of the film. I am satisfied with the scenes between us," Nawazuddin said. He said that their theatre background helped them in understanding and doing the scenes together. "The theatre background experience that we both have also counts in getting the act proper. Also, the trust and faith that we had in each other was essential. We had a good give-and-take equation between us in the film," he said. In the film, Nawazuddin surprised the audience with his entry where he is seen as Michael Jackson's impersonator. "It (dance part) was Rahul's idea and I had to practice it," he added.